Self-rescue is often the easiest and fastest form of crevasse rescue. This is especially true for small parties that lack the muscle power to hoist you out or that may be pinned down holding the rope. It may be the only practical rescue method for a two-person party. 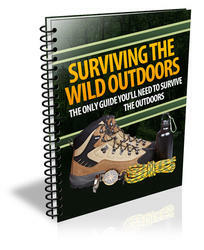 Self-rescue has the added advantage of keeping the fallen climber active and warm. In some cases, you may be able to climb the crevasse wall to safety, while on belay. Or you can climb back up the rope that held your fall. 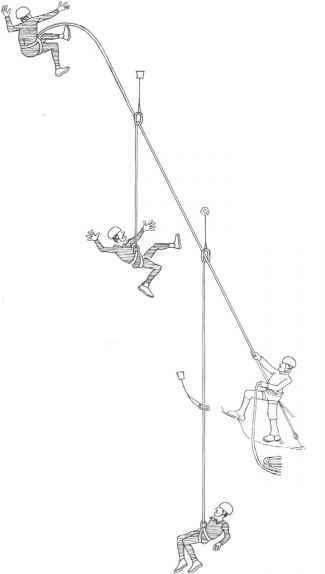 Two good self-rescue methods of ascending the rope are the stair-step prusik and the Texas prusik. They both use slings of accessory cord attached to the climbing rope with a prusik knot. However, they also work well if they are attached with the Bach-mann knot, which incorporates a carabiner that makes a good handhold for loosening and sliding the slings. Mechanical ascenders also can be used instead of the friction knots. If you ever use slings made of tubular webbing rather than accessory cord, the Klemheist knot is a better friction knot to use than the prusik or Bach-mann. Don't start up the rope until you get an OK from topside. Your movement could interfere with the work of rescuers who may be struggling to hold the fall and set up an anchor.